A pedestrian or a person on a bicycle has very little protection against outside impacts and collisions. When a motor vehicle driver is negligent, and that negligent conduct results is harm to other people, the driver can be held liable for any damages sustained by the injured person. In 2011, according to the NHTSA, 32,367 were killed in pedestrian accidents and 2,217,000 people were injured. A majority of these injuries also occurred in urban environments, like the Chicagoland area and the Northwest Suburbs. On average, a pedestrian was killed every two hours and injured every eight minutes in traffic crashes. 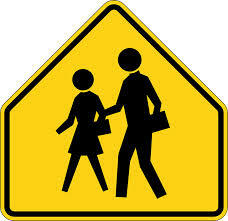 In addition to pedestrian-vehicle accidents, non-vehicle pedestrian accidents also may occur. Most often, these types of injuries are caused by poor property maintenance, including sidewalk or parking lot defects. 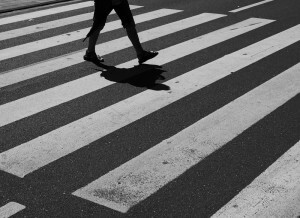 Whether a person was hit by a car or tripped on a sidewalk, a pedestrian can recover damages for his injuries if someone else’s negligence or intentional acts caused the accident. Be prepared for walking by wearing bright clothes, reflective gear, and lights if walking at night. Although children cannot drive yet, they should become educated in the rules of the road. During much of the year, people enjoy bike rides with their family or utilize bikes to exercise. A bicycle accident can occur whether you’re on the streets commuting to work, enjoying a Saturday afternoon at Busse Woods or Lake Arlington. Bike accident injuries can be costly due to a bicyclist’s limited protection against outside impacts. Often, bicycle accidents result in head, neck, and spinal cord injuries. However, safety precautions need to be taken to reduce the likelihood of serious injuries. Make sure your bike is equipped for safety and working properly. Every bike should have the required reflectors. Check the brakes often to see that they are working. The seat and handlebars should be securely attached and properly adjusted. Wearing a helmet may prevent you from being seriously injured in an accident. Use a backpack or a bike carrier to hold your books, lunch or other items. Ride slower on wet streets, loose gravel or bumpy roads. Ride single file. Do not ride next to each other if possible. Always ride one to a bike. Your bike is harder to balance with another person on it, and a passenger may block your view of what’s around you. Ride as close to the right edge of the road as practical. Certain conditions allow a bicyclist to move farther to the left if necessary, such as broken glass, drain grates, parked cars, left turns and passing. Ride in the same direction as other traffic, not against traffic. Slow down at intersections and railroad crossings to ensure it is safe to cross. Avoid riding at night. If you must ride in the dark, the law requires that your bike have a front light visible from a distance of at least 500 feet and a rear red reflector visible for up to 600 feet. Always wear white and/or reflective clothing when riding at night. What If I Am At Fault for a Pedestrian or Bicycle Accident? When a driver hits a pedestrian or bicyclist, the first question that goes through anyone’s head is who is at fault? Generally, fault is determined by the law of negligence. A person who fails to exercise a reasonable standard of care under the circumstances may be considered “negligent.” But even if you contributed to a pedestrian or bicycle accident in Illinois, you may recover compensation for your injuries. In Illinois, comparative fault applies to pedestrian accidents. This means that the pedestrian’s percentage of apportioned fault is figured into any recovery. However, under comparative fault law of Illinois, the pedestrian must be less than 50% at fault in order to recover. If a pedestrian or bicyclist is deemed to be more than 50% responsible for causing an incident, they are barred from any recovery. What Do I Do If I Was Injured in a Pedestrian or Bicycle Accident? The Law Offices of R.F. Wittmeyer, Ltd. represents clients who have suffered personal injuries from bicycle accidents, pedestrian accidents, and will represent the family of a cyclist or pedestrian killed in a roadway accident as a result of the reckless or negligent conduct of another person. Please contact us with any questions.